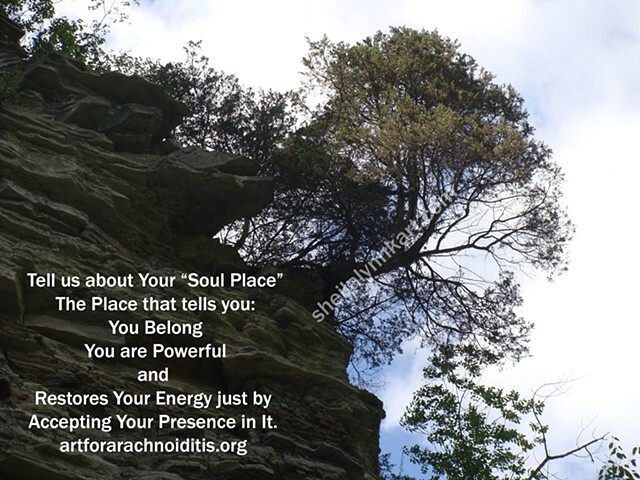 During YEAR 3 of the Art For Arachnoiditis Project; Arachnoiditis Survivors are invited to tell us about it and submit a photo of your Soul Place with this much easier NEW ENTRY FORM. Entries will be accepted until January 31, 2017, for use in the online gallery at artforarachnioditis.org, future project promotional publications, and live exhibits that are FREE to the public. There is no fee for this entry.